As autumn begins to take hold you’ll notice the temperature is starting to drop, and before you know it it’s going to be winter again. It’s a time of year when everyone’s mood can take a dive, but something that’s sure to provide a little extra bite in this year’s inevitable cold spell is the rise in energy use we all experience throughout the coldest months. It’s almost an annual tradition at this point, to worry about crippling energy bills when you’re trying to keep your house warm. But does it really need to be that way? The answer, fortunately, is no. You see there are a few things you can do to keep your house warmer this winter while saving money on your energy bills. As autumn has just begun, it’s the ideal time to put these top tips into action now so you’re able to benefit from the moment winter starts. Your curtains aren’t just an attractive addition to your interior decoration, they’re a valuable extra level of insulation when the weather starts getting colder. Particularly useful are blackout curtains, which are usually made from thick and durable materials that will mean your home keeps more of its heat. Blackout curtains will also have the extra benefit of ensuring you’re not affected by exceptionally bright winter sun or street lights when darkness falls. 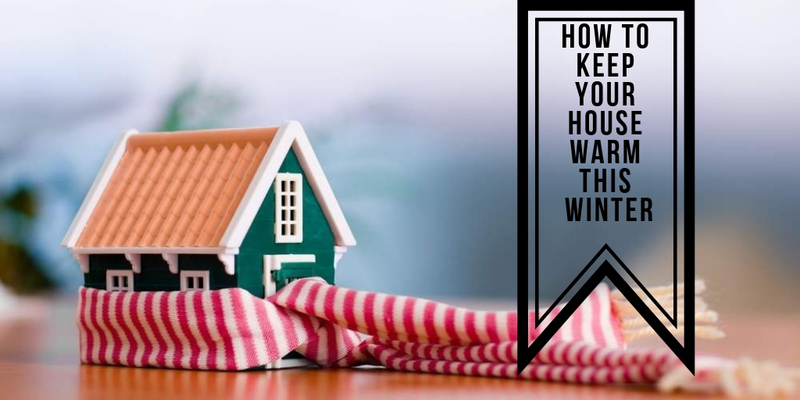 Your home needs to be as well insulated as possible if you’re going to make the best possible savings on your energy bills and retain as much warmth as you can. It’s worth investing in an insulation specialist to come to your home and perform a survey. They will let you know how well insulated your home currently is and any areas that could be improved. The installation process is less intrusive than ever now, so it’s worth putting up with a little disruption for the long term benefits. It’s often said with a wry smile how cold a draught can be, but the truth is on a cold day you will feel it particularly strongly and it shows that your home isn’t as well insulated as it could be. You can buy pre-made draught exclusion devices that fit snugly under your doors, or you can even make them yourself if you’re good with your hands. A roll of draught exclusion tape can work wonders for making your windows close that bit more snugly than they otherwise might. Most, if not all, modern central heating systems come with a timer so you can set them to come on at the ideal time for you. It’s a good idea to set the timer for about 30 minutes or so before you normally get up, which gives the house a chance to warm up before you wake. The reason for this is simple – when you wake up cold you’re more inclined to turn the heating up higher out of instinct, which means you use more energy getting the house up to temperature faster. One of the simplest things you can do to improve the efficiency of the equipment you already have in your home is to bleed your radiators. All you need for this is a simple radiator bleeding key which can be bought for as little as 75p in most hardware shops. Bleeding a radiator is basically just removing the build up of air which is preventing your radiator from filling all the way to the top. Simply lock the key in the radiator and turn until the hissing stops and you see a drop of water, then tighten again.